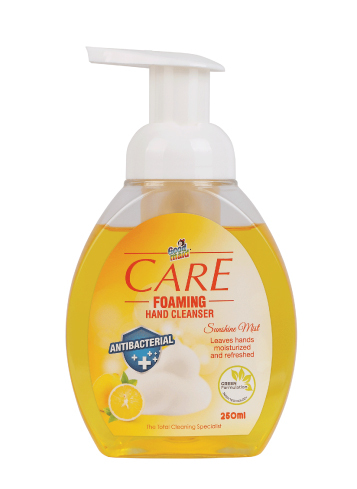 CARE Foaming Hand Cleanser - Goodmaid Chemicals Corporation Sdn. Bhd. 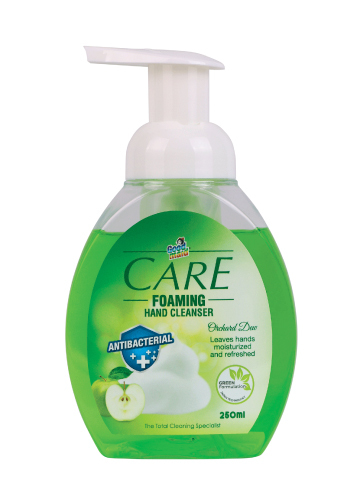 With a rich & creamy foam, its anti-bacterial formulation keeps your hands hygienically clean and leaving your hands feeling protected all day long. 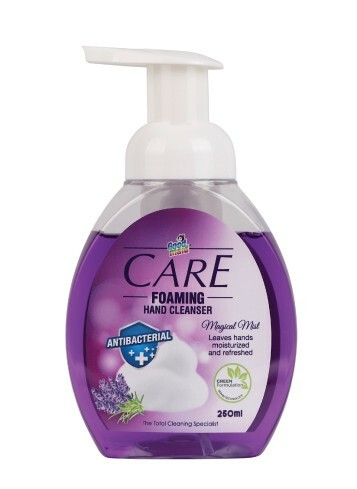 With just one single pump, the refreshing fragrance soft foam helps to remove dirt gently in between your fingers. • For gorgeous looking hands, leave a bottle next to the sink at home, in the kitchen, bathroom or even the office for luxurious treatment that's close at hand. • Turn the pump towards the front to unlock. • Dispense appropriate amount onto palms and spread on hands and in between fingers, then rinse well.